Rent our Slip Resistance Evaluation Kit and do your own walkway testing. In every kit you will receive step by step instructions to perform walkway static coefficient of friction compliance tests to document the slip resistance of your floors. To receive a flooring and walkway audit with a NFSI approved device, please utilize TractionAµditing's professional testing services. Traction Auditing offers the TracScan for rent for $500.00 per 5 day week, plus the cost of shipping each way. To get a testing device shipped to you, give us a call today to get the process started! Each TracScan rental includes all of the necessary tools to perform both dry and wet coefficient of friction tests on your site. *Please give us a call or email us for available rental dates. 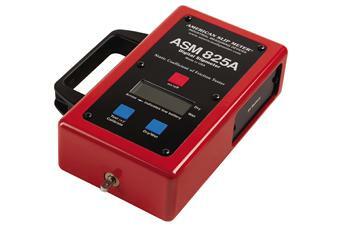 Traction Auditing offers the ASM-825A for rent for $150.00 per 5 day week, including shipping each way. 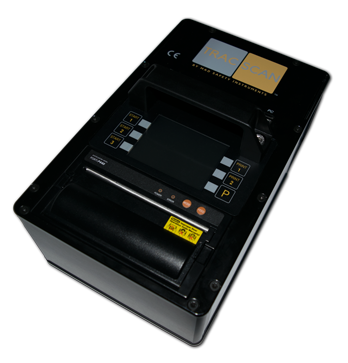 To get a testing device shipped to you, give us a call today to get the process started! Each ASM rental includes all of the necessary tools to perform both dry and wet coefficient of friction tests on your site. 1. Properly pack the instrument into the appropriate shipping box the way it arrived to you. You keep all documentation as well as the sample products. 2. Seal the box and place provided shipping label on the outside of the box. 3. Drop the box off at the nearest US Post Office.